I so much believe in this aphorism that says, 'whom God has blessed, no man can curse'. Biafrans from time immemorial, have proven to be the chosen race. Inspite of the callous effort of mortal men to crush the chosen generation (Biafrans), we have continue to grow and prosper in our various spot of inhabitation all over the universe. There is no country within the axis of America, Europe, Asia and Middle East that you won't find a Biafran who has been able to carve a good economic niche to reckon with. You will find us in most of the boards of multi national corporations, ranging from financial institutions, pharmaceutical firms, construction giants, logistics, oil and gas giants. You will also find us in the military institutions of world powers like America, Israel and Germany. Some of the military hardwares of these world powers are being designed and manufactured by individuals with Biafra DNA. There are many of us in secret intelligent agencies of these countries. Outstanding and well decorated law enforcers. Our success in all human endeavor all over the globe speaks volume about our peculiarity. It was yet another promising feat for an elegant, vision driven and hardworking Biafran who is presently serving in the United States of America Army. Eze Kingsley (who happens to be a close comrade right from our University days) is a graduate of political science from the prestigious University of Nigeria, Nsukka joined the U.S Army two years ago and within this frame of time, he has recorded numerous achievements in the pursuit of his lofty dream. 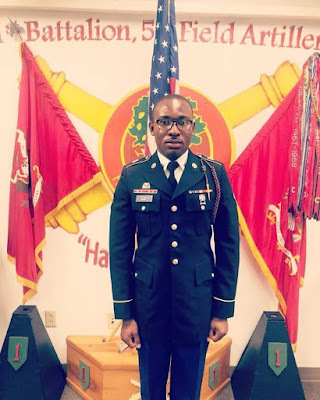 On the 1st of August 2018 in Kansas, Eze Kingsley who is a specialist of warfare under 1-5 FA battalion, fort Riley, won the SOLDIER OF THE MONTH competition. This is a competition that each company brings two soldiers to meet the military board. The board will question the contenders in other to ascertain the solidity of their knowledge about the US military. After which a physical fitness test will be conducted to satisfy one's level of fitness. Other factors like self confidence, appearance, uniform and many more are factored before any winner can emerge as the Soldier Of The Month. Fortunately enough, Eze Kingsley with so much moral and intellectual mojo surmounted these high mountains and emerged as the winner of this competition. It is a recognition well deserved by this smart and hard working young Biafran. Biafrans all over the world are happy and proud of you. 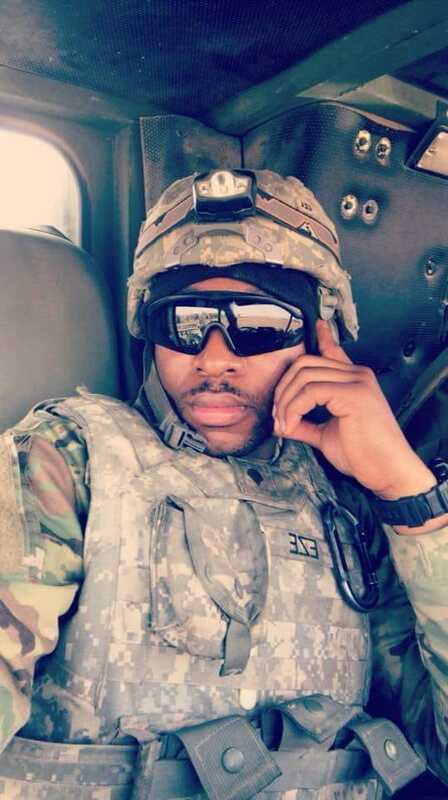 Congratulations to you (Nwafor) for this awesome achievement. Always remember you owe your mother land (Biafra) the responsibility of always projecting what we stand for as a people. A big congratulations! 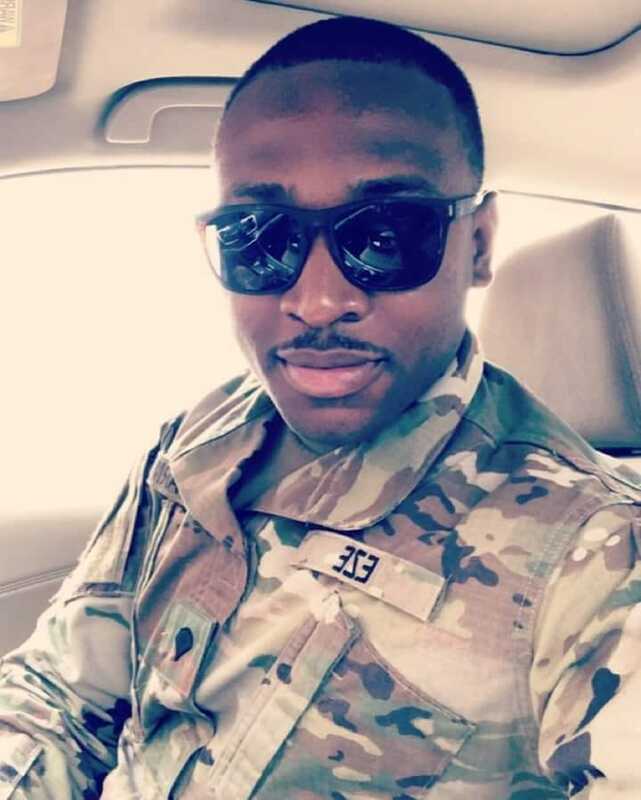 Eze Kingsley was on the 1st of August, 2018 decorated with Army Achievement Medal in Fort Riley, Kansas! 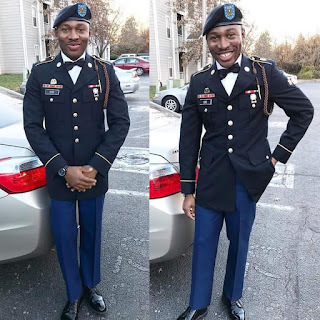 Eze Kingsley is from Mbaise in Imo State, Biafra land.